Milling urban trees at RE-CO BKLYN. All photos courtesy of RE-CO BKLYN. I met Roger Benton this past winter at the Lie-Nielsen Hand Tool Event held at Phil Lowe's Furniture Institute of Massachusetts. Roger was part of the LN show staff demonstrating hand tools and their use. 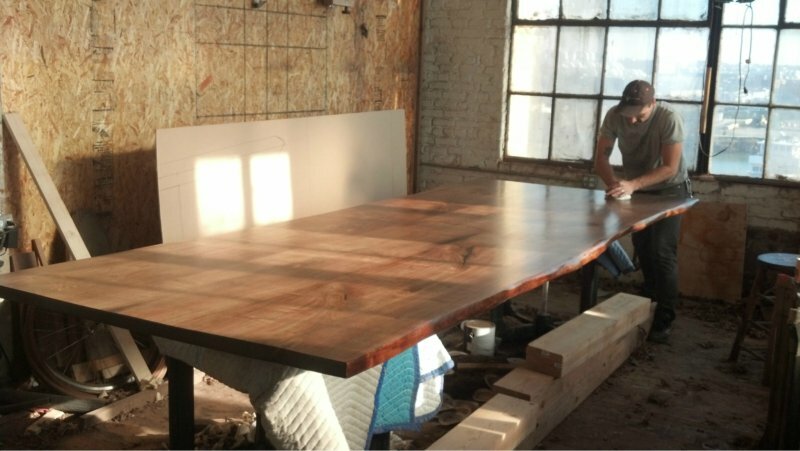 For the past 3 years, he and Dan Richfield have operated a lumbering and woodworking business in Williamsburg, Brooklyn, NY. 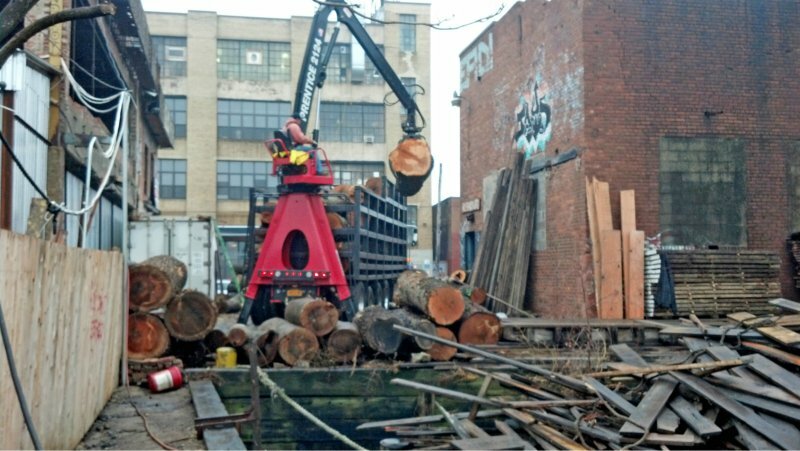 You might not think of the middle of Brooklyn as a place to find a lumbering operation (and here I don't mean just selling lumber, I mean harvesting, milling, and drying it as well). 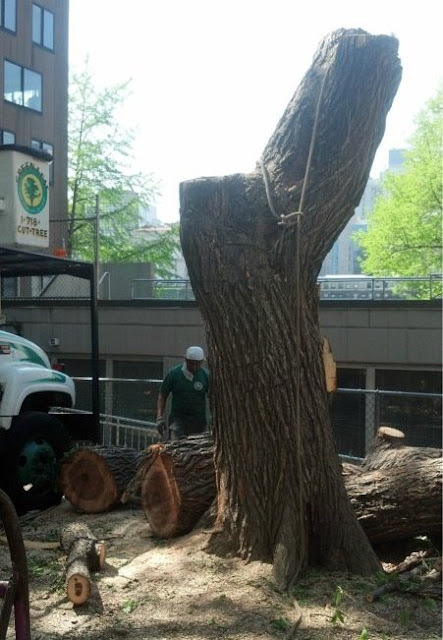 This is what's known as urban lumber, harvesting trees in the urban environment and turning them into useful lumber, as described by Sam Sherrill in his book Harvesting Urban Timber: A Guide to Making Better Use of Urban Trees . In any urban area, there are yard and municipal trees that come down as a result of weather, disease, or construction and landscaping work. 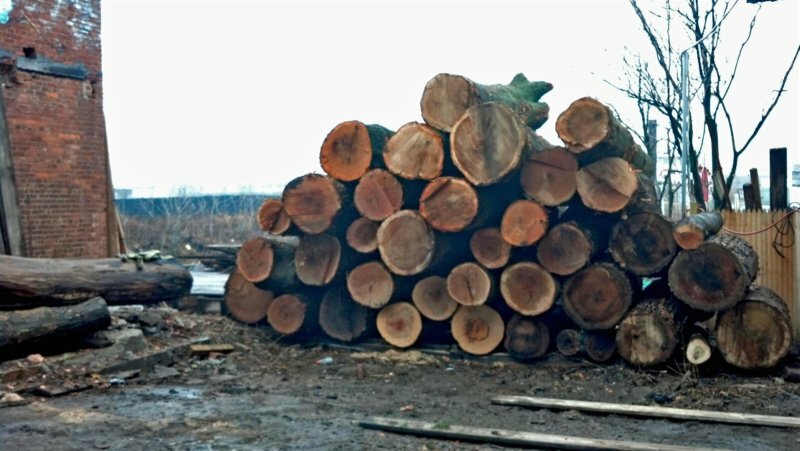 Rather than simply chipping them up or burying them in a landfill, they can be turned into perfectly good lumber for woodworking. Talk about your locally-sourced materials! Harvesting backyard trees. This is a job for professionals. 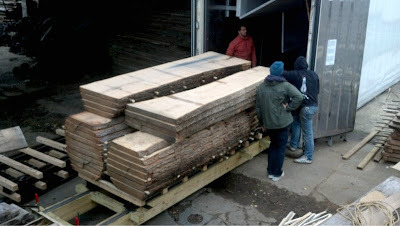 Roger and Dan's business is RE-CO BKLYN, Brooklyn's only sawmill, harvesting doomed NYC trees for unique lumber. They produce live-edge slabs from storm damaged park and street trees. This is a great alternative to combat the high environmental impact of global lumber sourcing. 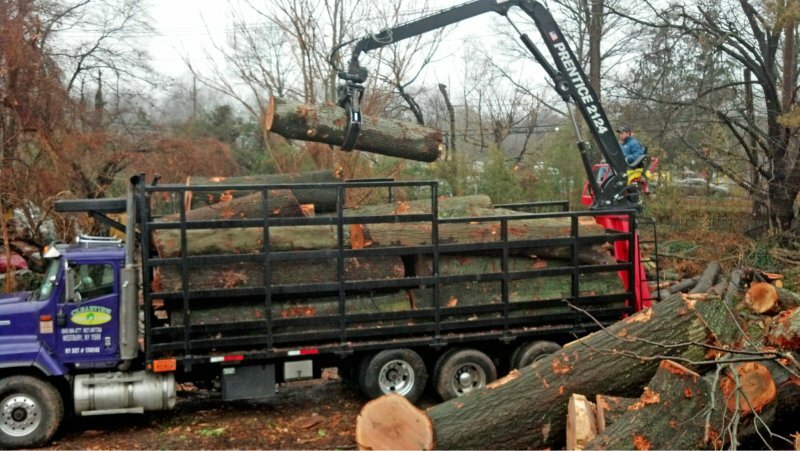 Dan says it reduces unnecessary logging and waste, deforestation and high lumber prices due to shipping expenses. 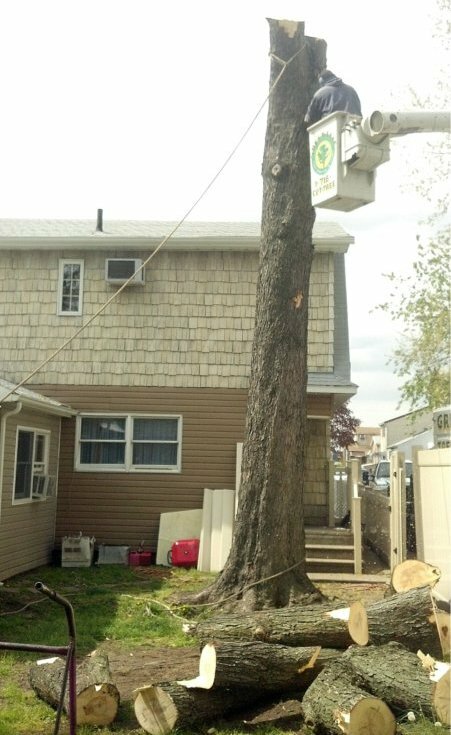 They work with the city parks department and local tree services to harvest trees, and have been especially involved with processing many of the trees brought down by Hurricane Sandy. While I love the whole concept of urban lumber, I'm particularly glad to see someone salvaging something good from the storm that wreaked so much destruction on people's lives. Loading up a truck full of downed trees. The pile ready for milling. 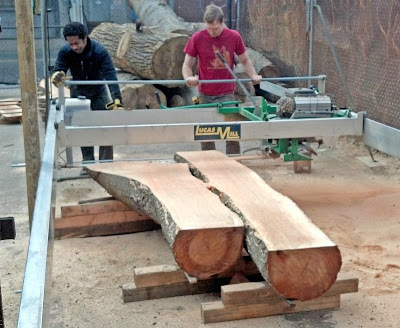 This provides a unique source of lumber for area designers and makers. They're the only source in the city for live-edge slabs, full-width boards with the tree's natural shape on both edges. Because they saw, dry, and store all the lumber at their Williamsburg location, they can keep costs down for local customers. 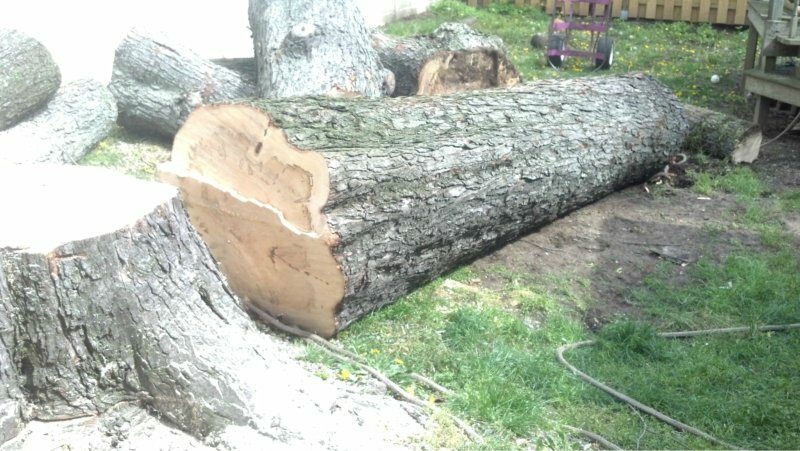 Even humble yard trees have gorgeous strong grain. Preparing to load the kiln made from a converted shipping container. 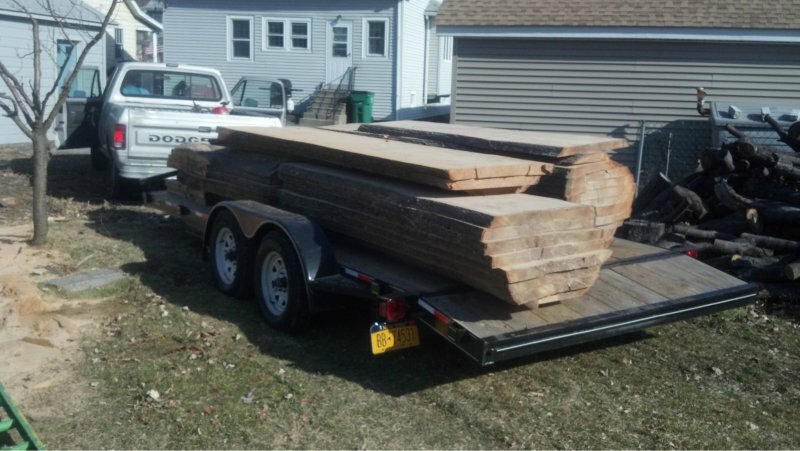 A finished load ready for delivery to a local woodworker. They also feature a full furniture shop, working from a custom-design background. Roger says their design/build team has created one-of-a-kind pieces for private and residential clients ranging from local homeowners to popular celebrities as well as hotels, bars, restaurants, retail stores and more. 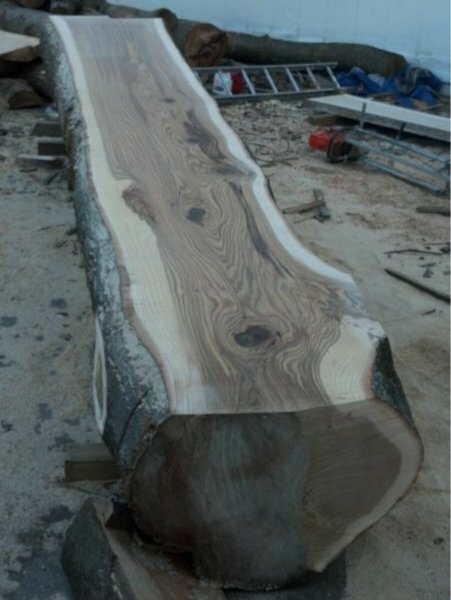 Working on a large custom table. Finishing a pair of smaller custom tables. 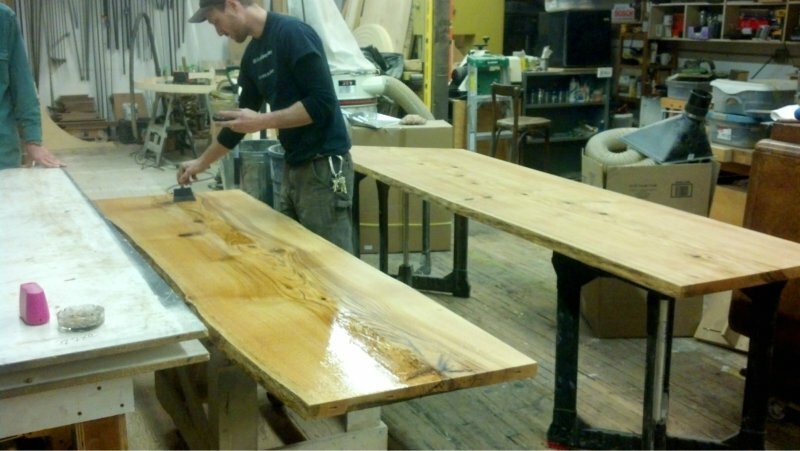 If you're a woodworker interested in using some unique local NYC materials, or are interested in custom furniture made from them, contact Roger Benton or Dan Richfield at 347-770-5002, info@recobklyn.com, or through their website. 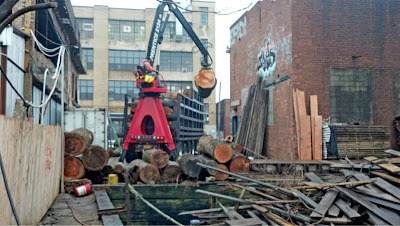 You can also read Roger's thoughts on the challenges of harvesting lumber in NYC in his blog post at Lost Art Press, and see Jeff Burks' photos of RE-CO BKLYN on page 3 of his galleries from the January LN Hand Tool Event at 3rd Ward, just across the street; the photos are the last 5 rows on the page.